Tea cozy hack and trivet test. Customers are such an inventive lot. And helpful. 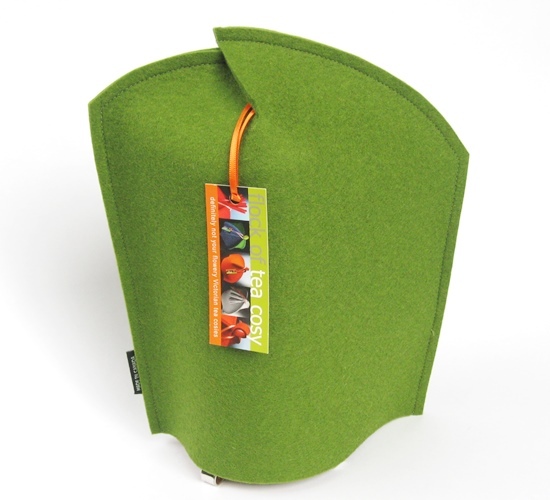 Recently a customer ordered one of the flock’s cosies designed for a french press coffee maker, the 8-cup “Neu” design in Moss Green. Shortly after receiving it she wrote to tell me it fit her tall, narrow-proportioned teapot perfectly. A great customer cosy hack! I also recently received a query about whether the trivets could handle a hot-from-the-stove espresso pot. 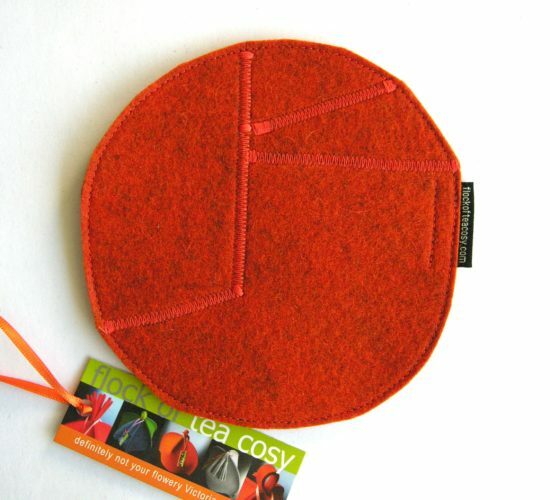 The colourful wool felt is wonderfully resilient, and perfect for protecting tabletops from hot teapots but I wasn’t confident enough to absolutely guarantee they’d hold up to stove-hot. It turns out they hold up just fine. On the flock’s behalf the customer put the trivet through its paces with her espresso pot and it came through with flying colours. No burn marks and no table-top harmed in the testing. I mentioned this awhile ago but it’s worth mentioning again. 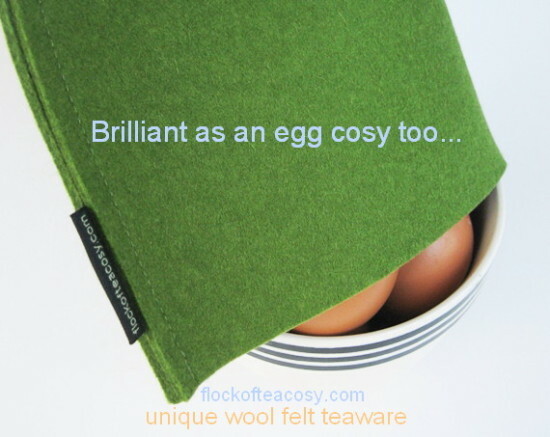 A clever customer reported that the small tea cosies work wonderfully at keeping a bowl of soft boiled eggs hot on a Sunday morning. Another great tea cozy hack.